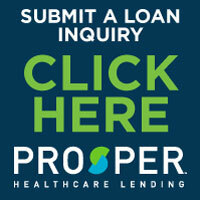 Prosper Healthcare Lending is the premier financing company in the bariatric surgery industry. With over $3 Billion funded and over 250,000 inquiries serviced, this is a name and a program you can trust. In an effort to make care accessible to all of our patients regardless of their financial situation, we’ve partnered with Parasail to find patient‐friendly payment plans that fit their needs. Prescription and over-the-counter medication costs. Doctors/specialists, office visits, lab work, physical therapists, etc. Nonsurgical weight loss programs (WeightWatchers®, Jenny Craig®, etc.). Increased grocery and dining costs. Dr. Paul Wizman is a BLIS surgeon, bliscompany.com. Becoming a BLIS Surgeon is a very selective process as determined exclusively by BLIS. This means that we meet very high standards of short term outcomes and long term patient success. Only a handful of surgeons are able to provide their patients with BLIS insurance in United States. As a result of our approval by BLIS, we are able to participate in an innovative new insurance coverage which allows us to make a commitment to our self-pay patients that should a covered complication occur within certain time frames following surgery, our patients are not responsible for the costs associated with the care of that complication. You can get more information about our BLIS program during your consultation with Dr. Paul Wizman.